James van Riemsdyk has displayed an uncannily deft touch deflecting pucks into the net from out front. Most of his goals have been on tip-ins and rebounds. Hextall was correct on all accounts. 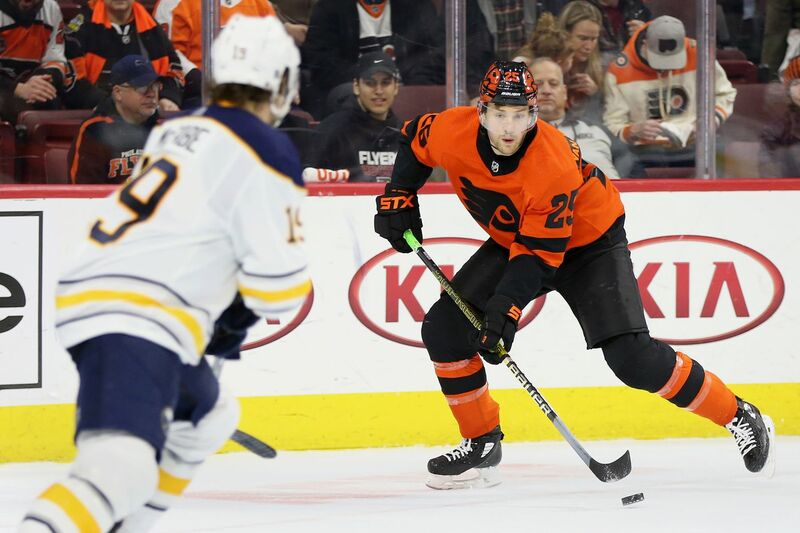 After missing 16 early-season games because of a knee injury and then taking more than a month to get accustomed to his new teammates, van Riemsdyk has flourished. With a goal in Sunday’s win at Pittsburgh, he has 19 goals in his last 29 games since Jan. 10, the second-highest total in the NHL in that span, behind only Edmonton’s Leon Draisaitl. The Central Jersey native had 10 goals over his last 11 games. And he has displayed an uncannily deft touch deflecting pucks into the net from out front. Most of his goals have been on tip-ins and rebounds. “To do that, you have to be around the net, and he’s been around the net more,” Gordon said. Van Riemsdyk, 29, has 25 goals and is on pace for 28 despite missing 16 games. He had 36 goals last season, while playing mostly on Toronto’s third line. “You just like to play with smart players, ultimately, and we have a lot of those in this room,” said van Riemsdyk, who credited his teammates for getting him the puck in the scoring areas in front. Samuel Morin, the mammoth defenseman who was the Flyers’ No. 1 pick in the 2013 draft (11th overall), is healthy, but sat out again Sunday. With their 2-1 overtime win on Sunday, the Flyers are six points out of a playoff spot, with 10 games left.